This week's theme is hot and I say, this is one hot dish! Spicy squid and scallops sprinkled with lots of cayenne pepper. Yummo! Yumm. I love spicy food. I want some. That looks delicious! Perfect take on the theme. Happy weekend. That looks delicious and good idea for the theme. Happy weekend. 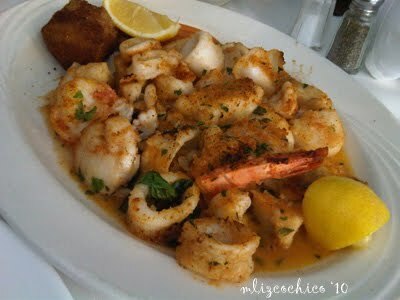 I would cook mine with shrimp, I do not like squid..thanks for your visit to my place today.. I can tell you just by seeing the picture that I love this dish! My order; 4 servings please, and DHL over to New Zealand. You are a great cook. Ooohhh.. this looks so good. I'm definitely hungry now.